Some things are larger than life. That’s the only way to describe TWH’s new 1:50-scale Manitowoc 31000, the largest-capacity crawler crane ever designed and built by Manitowoc. The model replicates the innovative design and details of the crane, including the Variable Position Counterweight. Even at scale, the size of the model is the largest ever offered. When fully assembled, the model height peaks at almost 100 inches. The replica features a rotating cab body, functioning tracks and key-operated drums, a detailed cab interior and a fully functioning Variable Position Counterweight system with individual counterweights. 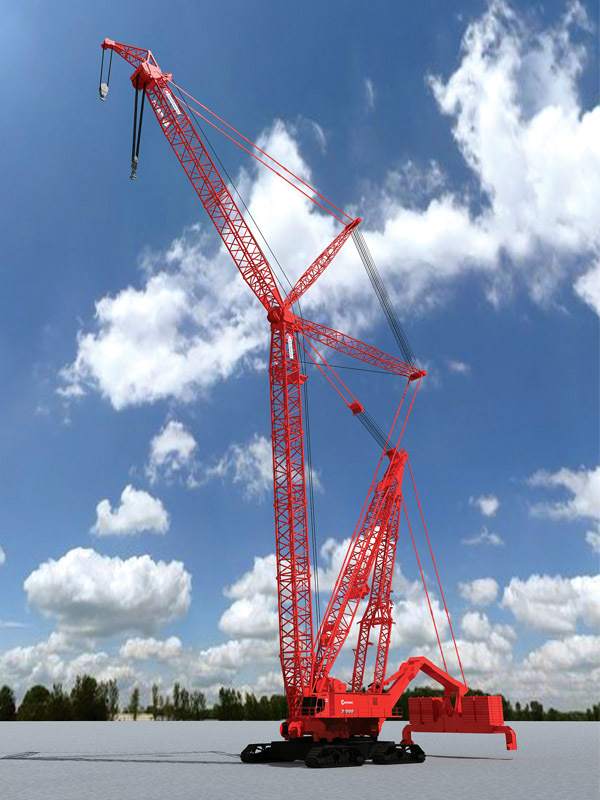 The attractive red Manitowoc 31000 model can be rigged with an 80m boom and 40m luffing jib. Production is limited to 500 pieces.